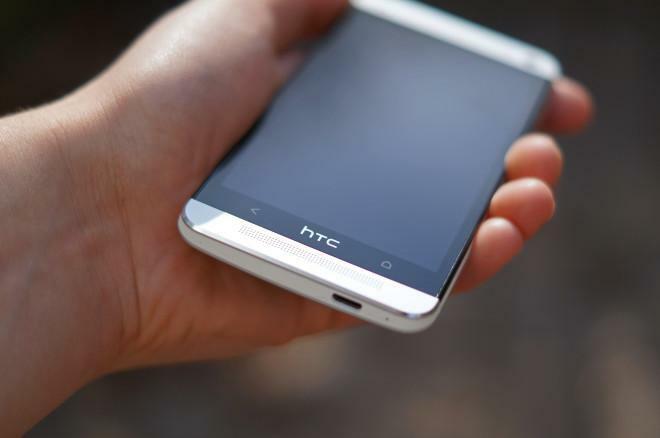 T-Mobile just updated its HTC One devices with some new, bug crushing software. Version 1.27.531.11 features some carrier specific software aimed at making LTE performance and reception more stable among other things and weighs in at 247 megabytes. Sadly, the updates did not come alongside Android 4.2.2, that’s still a little way off. But do let us know if you notice any dramatic changes in carrier performance following the update. What LTE problems might we be experiencing? I think it may adjust the bars that are displayed on LTE. I’ve noticed in Portland, I haven’t seen more than two bars of LTE anywhere throughout town, and normally it’s one bar. It’s not that the signal is necessarily bad, it’s just that the phone always shows low bars, even when right next to Tmo towers. Right on.. I’ve seen 4 bars sporadically but it’s usually 1-3. Technically it does but you cant make voice calls so in my opinion its not technically LTE. But yes Im aware of the hack and what not but thats just a waste of time if you cant use it as normal. You might want to check up with that. TONS of us have no issue getting LTE on the nexus 4. Whats the reception like for this in general? I read on s4gru.com (Sprint rumor site), that at least the Sprint one was very tuned for the Sprint network, is the same true of the T-Mobile one? Btw, what’s that code to check you in 1st for OTA updates? I don’t know if it’s the new dialer I have, but it’s not working right when I do it. I thought it was something like *#*#checkin#*#* ? ive known about this checkin service since the mytouch 3g. but sadly it doesnt push you to the top of the line. It just registers to the system. I stopped doing it because its more of a placebo than anything. Ive done this on a few devices after otas are released and still get the “phone is up to date” prompt. Ill be slow and everyone will get it. Was really hoping for 4.2.2 It looks like we may not get it till after august by the looks of this. After August is putting it lightly. Even though T-Mobile is the “Uncarrier”, I doubt they’ve changed anything about updates. I’d say that it’ll hit sometime between November and February. Probably December. There is the checkin system. Plus there is the restart the phone, so it keep pinging the servers when you reboot. Also, on the Galaxy Nexus, you had to stop Play services so that it ping the server to check for updates, But there was for Android based updates, not sure if it works for T-Mobile based updates. Hmmm just tried to update and it’s telling me my phone is up to date. Mine always has one bar on LTE but is way faster than at&t and Verizon in Phx AZ. I wouldn’t doubt it. I have a LTE tower like 50 yards away. I’m in a building and it is showing 4G. When I go outside it shows 1 bar LTE. When I get maybe around 15 yards from the tower, if will be full bars LTE. it’s a Tmobile thing, likely not the phone. I’ve seen compliants in LA recently. I dnt think its a tmobile thing still think its a phone thing because I just came from a friends house she has tmobile iphone 5 her mom has tmobile galaxy s4 me and my man went to go visit her since she just had a baby she lives in east La 90022 I told her and her mom to do a speed test they all had full bars of lte I checked my xperia z which also had full bars of lte we all did a speed test we all got 28 mbps dwn 16 up then I told my man to do a speed test same location we had full bars he had 1 FREAKING bar got 3.5 dwn 1.1 dwn so I know something is wrong and yes his phone says “4G LTE” so yea sukz for him even he noticed somethings wrong too he said hes switching phone because he checked and no update is available on his phone. I haven’t had T-Mobile in a year since my dad switched carriers but I always checked this site out. And now that I got a job my sister got me a line from her T-Mobile account. So happy to be back on team Magenta. Nexus 4 here. Who got this update? Haven’t seen it on my phone yet. still no update? I learned that if you click the update button three times a minute, they might push the update out sooner. Still nothing on my end, says I’m up to date. got it finally, as soon as I got the email for your reply I checked again and it was there. I’m wondering if T-Mobile will ever get the 64gb version? AT&T was only suppose to get the exclusive on that model for just a certain length of time. It’s been killing me to hold off on buying this phone but I want that 64gb model. Come On T-Mobile, put that phone on your shelves, many customers want that model. Wow, I literally just checked about an hour ago through settings and it said no update was available. Just read your comment and checked again and it was there. It’s downloading now. I also got the update in the Philadelphia area. Went out and drove some of the poor area of coverage and I still have poor coverage. I actually still get zero bars no signal in areas that my wife’s GS3 has full strength. Hopefully they will get it right on the next update. T-MOBILE states that this can be side-loaded on HTC,yet,it’s no where to be found. Improved signal on my phone. Getting 3 bars in my house. 4 bars in downtown Chicago. Lte super fast. They should release an update for the Nexus 4 to enable LTE! Just got this (10pm PDT). Update is installing now. Also, I think changes the graphical representation of the signal strength. I’ve had really good LTE coverage since I got the phone, but it almost always only showed one bar. Now it’s showing 3 and 4 at the same location (speed tests are still 40M plus – unchanged). Same here in North NJ. Speeds were good but only showed one bar of reception. Now showing 3 or 4 after the update. Also the HDR mode is gone from the camera. HDR is gone from mine as well. Why would they remove this? LTE improvement? How would someone in KY or WI know if there was an improvement? It removed the HDR camera option completely I believe. Yeah….what’s up with the HDR removal? T-Mo always screwing us. I bet you we will be the last to receive 4.2.2…..
WTH! I want my HDR back! What possible reason would they have to remove this feature? I use this a lot. Just saw the posting on android central. just a mistake on HTCs part and a fix is on the way. I just checked for system updates, and now I got an app update through there for the camera to add HDR back, 4.09 MB file. Bam! I noticed my LTE bars increased but places where I got 27 down and 12 up before it’s now half that.